Chronic pain can be defined as the type of pain extending over a long period of time, generally over 12 weeks. It can be caused by acute trauma or appear as a result of nerve damage, persisting for months or even years. This type of pain can have numerous underlying causes, being difficult to treat and having a negative impact on the overall quality of life. The CareClinic’s app can be used as a chronic pain tracker app, is one of the most useful resources available for those suffering from conditions associated with this kind of pain. The application allows one to keep track of the pain history and communicate this kind of information to the treating physician. In a lot of cases, chronic pain cannot actually be treated but rather kept under control. 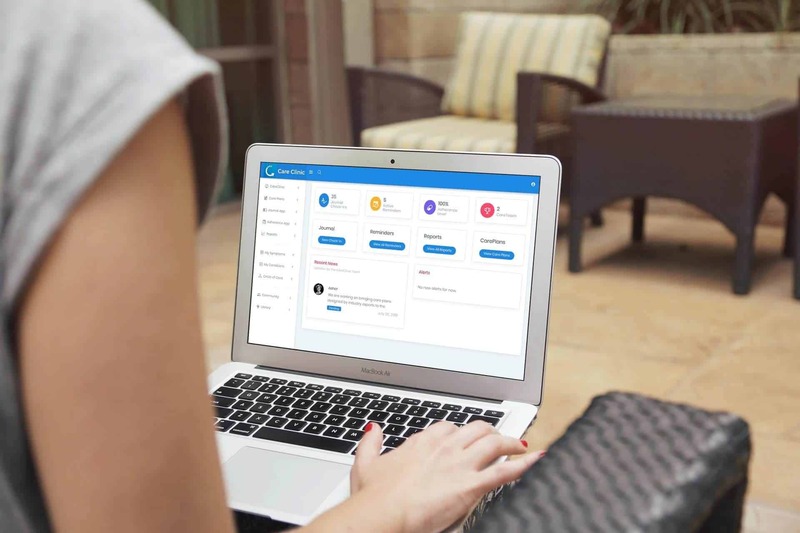 The application developed by CareClinic will allow you to create a self-care action plan, where you will have all of your medical information gathered under one roof: medication, diet, physical activities, and therapies. You can review all of that information with your doctor and make the necessary adjustments/changes to your treatment plan. Imagine a typical visit to your doctor. You will have probably a limited amount of time to describe your symptoms in the last few weeks. The doctor will want to know how bad the pain was, where it was localized and how it actually felt. He/she might also inquire about the effects of medication. Given the fact that you won’t have too much time to recall all those details, you might concentrate on the symptoms you are experiencing at that moment. They will not offer an accurate reflection of your pain history. By using CareClinic’s app as a chronic pain app, you will be able to overcome this problem and present your doctor with the necessary information. What are the advantages of using CareClinic’s app as a CP management app? The application is simple to use and it allows you to keep track of various pain parameters. It will also offer an objective analysis of the diary entries, compiling health reports you can further communicate to your doctor. If you have entered your medication into the application, it will even use advanced algorithms to show potential negative interactions. Chronic pain is a complex notion and there are a lot of factors associated with it. What makes CareClinic the best app for chronic pain? Well, it allows you to track a diverse number of pain metrics, if you need to track and monitor acute pain that can be done with CareClinic as well. You can use it to record and observe a pattern of pain triggers, to describe your pain in detail and to rate the intensity of the pain. 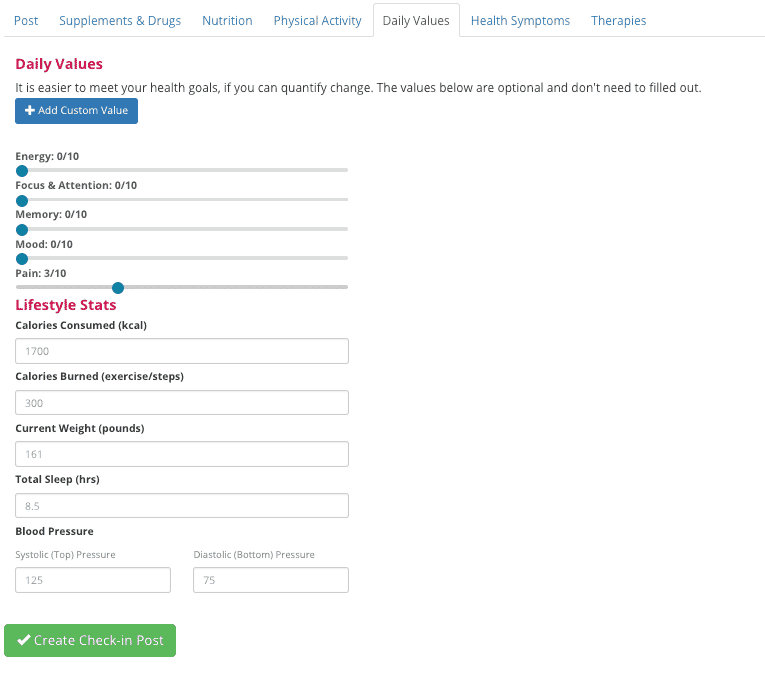 The application allows you to develop a health diary, with journal notes regarding the duration and location of the pain, treatments taken (including medication) and even onset speed. You can use it to enter your mental state, level of physical activity and bowel movements. Add the sleep history to determine a connection between your pain and lack of sleep. Use the application to record bowel movements, blood pressure and body weight, as well as other health measurements you might find useful. You can record additional symptoms, weather conditions that affect your general status and treatment milestones. Is this something I really need? If you are suffering from chronic pain, you might also be confused about what is happening to you. In order to understand your medical problems, you need to document them first. Chronic management apps – either available on android or iOS – can help you do just that. And CareClinic is indeed a resource that can help you get the best possible perspective on your condition. You can use the application to record details about your condition on a regular basis. With the help of the pain trackers, you can actually develop a pain diary and identify certain patterns regarding your overall health. The diary can be customized as you desire, as you are allowed to add any piece of information you might find useful. The data analysis is perhaps one of the best features CareClinic has to offer. Using your entries from the health diary, the application will compile a report that can be further shared with treating physician. The report can either be used as a virtual document or in its printed version. This report might contain graphs, shedding light on the characteristics of your pain over a given period of time. By communicating the results of this report to your doctor, you will actually improve the medical relationship and reach new solutions regarding your treatment. It will reveal information regarding pain level fluctuations, usage of different medications and underlying conditions (as well as how these influence your chronic pain). The report will demonstrate an objective overview of your pain. You have the possibility to rate the pain in different moments of the day, using a scale from 1 to 10. This attribution will allow you to understand the pattern of chronic pain and see the exact triggers behind it. You can also use the application to see major events that have had an influence on your pain; for example, a major surgery that was successful (progress monitoring). The report created can be used to compare different periods and analyze your chronic pain accordingly. You will easily notice the changes in the pain metrics and be able to understand the factors contributing to them. For instance, you might have changed your medication, tried a new therapy or even had surgery. Both you and your treating physician will have a better idea of how your condition changed from one period to the other. The health calendar can be a valuable tool when it comes to managing diverse aspects related to chronic pain. It can remind you of doctor appointments, provide information on treatment adherence and help you access journal entries with ease. With the help of advanced filters, you can browse through the different symptoms and see specific treatment changes. As the calendar is interactive, you can return to previous entries with ease and see how you adhered to the treatment plan. You can add notes directly on the calendar, finding it easier to cope with everything that has to be achieved with regard to your condition. When you suffer from chronic pain, you might find it difficult to keep track of everything that has to be done. If you feel like you cannot handle all, you might also begin to experience pressure and stress, which can make the pain worse. CareClinic serves as an excellent medical reminder and helps you stay in check with everything, including medication, doctor appointments and so on. You can set daily reminders for upcoming appointments and medication to be taken. The application allows you to enter daily/weekly treatments, the dose of your pain medication and even refill reminders. This will ensure that you will always have the treatment available; the reminders can be sent through the e-mail, appearing as notifications on your phone. What are the causes behind chronic pain? It is important to understand that chronic pain can appear as a result of nerve damage, as it often happens in neuropathies. For example, people diagnosed with diabetes can present such health problems. However, chronic pain is encountered in those with disc hernias, arthritis, gout and fibromyalgia. Migraines are associated with chronic pain, preventing one from functioning normally or engaging in everyday activities. Life-threatening conditions, such as cancer, are always accompanied by pain. In the last stages, when the patient also suffers from metastasis and the treatment is only palliative, chronic pain can become severe and the patient will begin to rely solely on morphine. Chronic pain is managed through pain medication, which can be adjusted according to the level of pain experienced by the patient. The treating physician will monitor the patient constantly, as some drugs can cause liver damage upon being administered on a long-term basis. Moreover, the medication recommended for severe pain presents a high risk of addiction. Psychotherapy, either in the form of Cognitive Behavioral Therapy or Acceptance and Commitment Therapy, can help the patient develop coping strategies and find a way to move forward. Relaxation techniques, including muscle relaxation and mindfulness, are definitely helpful. Physical therapy is another great solution when it comes to chronic pain. It can help one maintain flexibility and it prevents the condition from becoming worse. The physical therapist might also recommend other forms of activity, including swimming or hydrotherapy. Walking remains one of the easiest forms of activity to be engaged in, including when suffering from chronic pain. Of course, it is always important to address the underlying condition and find a suitable treatment (where possible). Complementary therapies, including acupuncture, massage therapy and osteopathy, can help with the management of chronic pain.